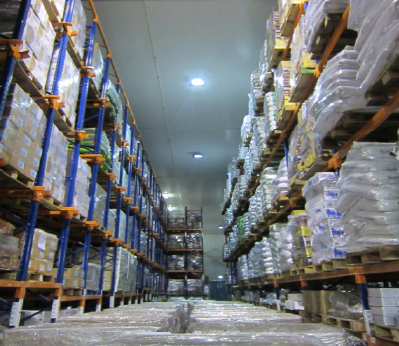 Established since 2006, Mandai Link Logistics is a leading specialist in cold food storage solutions. It operates the largest fully automated cold storage facility in Singapore, with a total storage capacity of more than 25,000 metric tonnes equivalent to 1000 pieces of 40-feet containers of goods. 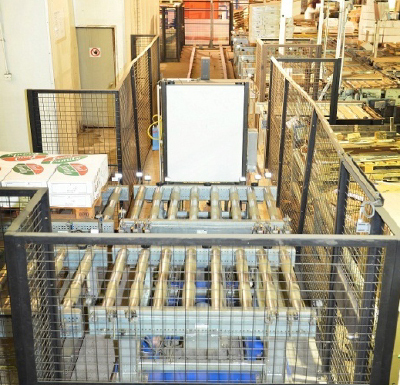 A pioneering adapter of cutting edge technology, it was the first local company to launch a fully automated cold storage facility installed with an Automated Storage and Retrieval System (ASRS), which greatly enhanced operational productivity. A one-stop service centre, we offer procurement, storage, inventory management as well as delivery services for cold food products. By utilising the most sophisticated technologies, we ensure a seamless flow of logistical support and distribution and empower businesses to achieve success. To guarantee the freshness and integrity of the full spectrum of food products including poultry, beef and fruits and vegetables, we utilise different temperature-controlled compartments so that all products handed to us can be kept in optimum condition. At Mandai Link Logistics, we are committed to solving customers’ needs with complete cold chain solutions, regardless of complexity or scope. A people-first philosophy is what distinguishes Mandai Link – we understand that your customers want nothing but the best for their loved ones. Therefore, we treat products entrusted to our care professionally and responsibly. From the time of arrival at the docks through to end delivery, you can rely on us to keep your products safe. Let us be the best cool partner you can depend on.